The Tet Festival of Southern California, held by the Union of Vietnamese Student Associations (UVSA) in Garden Grove, Calif., is recognized as the world’s largest Vietnamese festival outside of Vietnam. From February 8th through the 10th, the festival attracted over 100,000 attendees with 200 food, vendor, and sponsor booths, live entertainment, the Miss Vietnam of Southern California Cultural Pageant, and a Vietnamese cultural village. Since the creation of the festival, UVSA has donated over one million dollars back to organizations within the local community. I took a photo with students from the Vietnamese Student Association at UC Irvine, my alma mater. The local community also comes together to celebrate, with game booths hosted by Vietnamese student associations at each of the Southern California colleges and universities and food booths from non-profit organizations, churches, temples, and local Vietnamese restaurants. 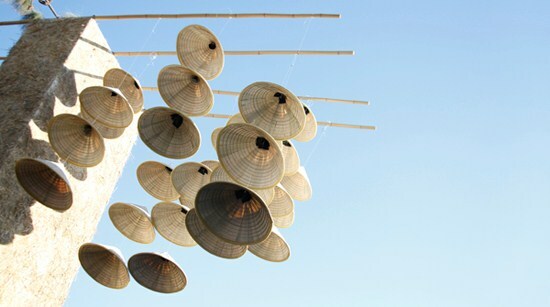 Làng Việt Nam, the cultural village, is constructed by hand, huts are shaped leaf by leaf, the entrance gates and well-known landmarks carefully built and painted by the Phan Boi Chau youth group and volunteers. During the festival, volunteers reenacted a traditional Vietnamese wedding with a procession that went through the cultural village. Some familiar faces were in attendance as sponsors of the Tet Festival. I took a break in Lexor’s Elite pedicure chair, from the Prive Collection, with Jennifer Nguyen (right), Lexor’s VP of marketing. Lexor has been a proud sponsor of the Tet Festival for many years. [left] QGS’ Phi Nguyen from Seattle and Alfalfa Nail Supply’s Kevin Nguyen, Hien Ton, Dat Ton, and Kathy Phan from Baton Rouge, La. made the long trek to be part of the Tet festival. 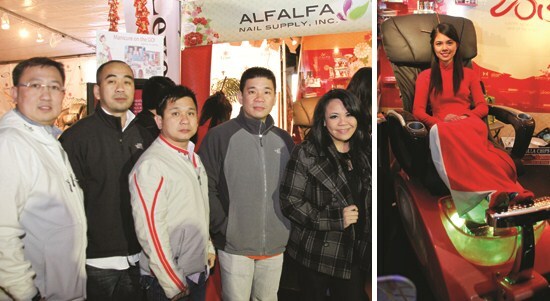 [right] Top Five Miss Vietnam of Southern California contestant Michelle Nguyen tries out the new Bipa pedicure spa chair from Alfalfa Nail Supply. The Bipa chair has resin sinks that come in custom colors. Nguyen was also voted Miss Photogenic. 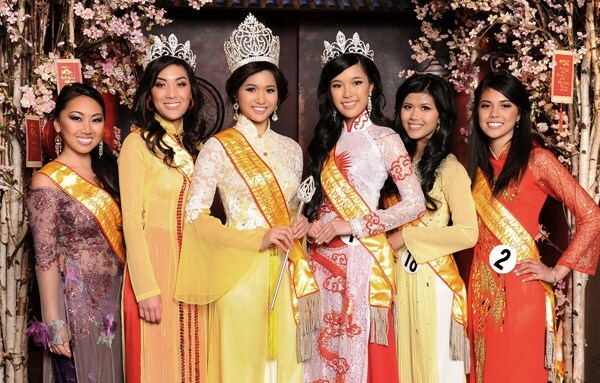 The Miss Vietnam of Southern California (MVSC), or Hoa Khôi Liên Trường, is a Vietnamese-American cultural and scholastic pageant held by UVSA at the festival annually. This year’s winner is Miss Caroline Vũ Thị Minh Thụy from West Coast University. I’ve been attending the festival with my family for as long as I can remember and really enjoy the busy atmosphere. If you’re not from the area, plan for the festival next year, Jan. 31 to Feb. 2, 2014.